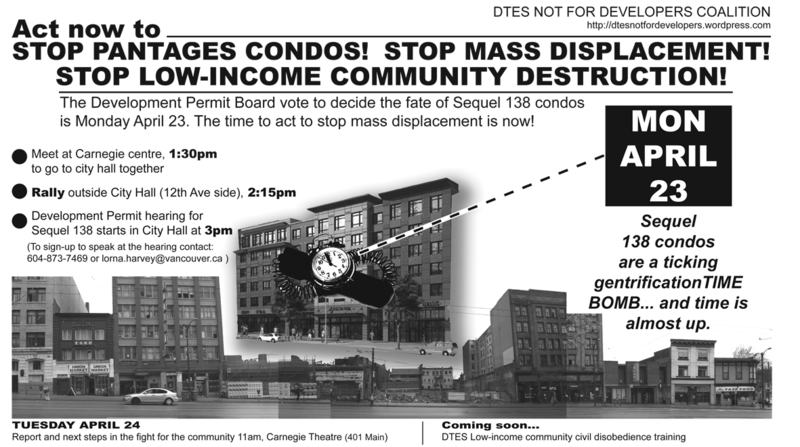 Last chance to make your voice heard at the Development Permit Board against Sequel 138 condos! Check out these 11nth hour actions and statements against Sequel 138 condos… Monday April 23 at 3pm is the Development Permit Board hearing at city hall! 1) 30 academics come out against Sequel 138 condos! 3) LAST CHANCE TO RALLY AND SPEAK OUT AGAINST SEQUEL 138 CONDOS BEFORE THE CITY VOTE!